seesaw. 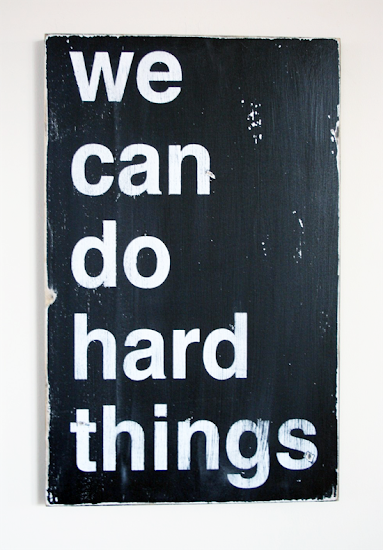 : hard things + winner. My husband and I just finished installing wood floors throughout our whole house this weekend, so I'm feeling pretty accomplished (and sore!). I'm loving this little bit of encouragement. And congrats to Jillian from cornflake dreams - you're the winner of last week's giveaway. We'll be in touch soon!